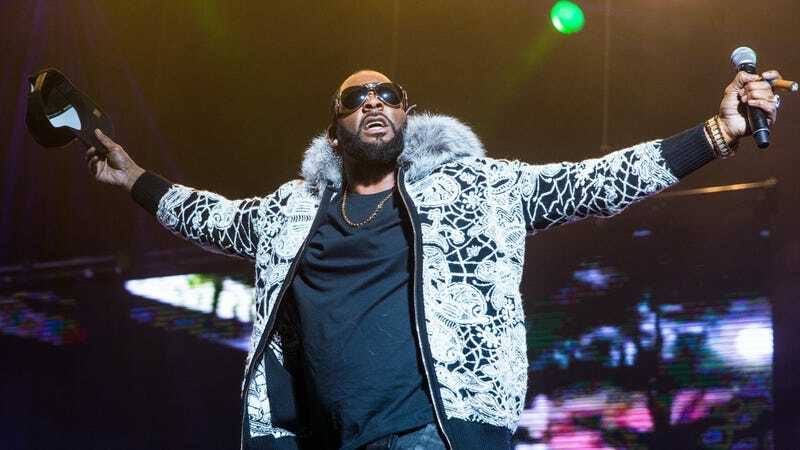 R. Kelly, whose music was removed from Spotify’s official playlists as part of its “hateful conduct” policy. After facing widespread outcry from throughout the music industry, Spotify has officially stepped back from its controversial “hateful conduct” policy on artist curation. Spurred at least in part by the #MuteRKelly movement—which aims to reduce the public profile of the R&B singer, who’s been accused of abusive and coercive treatment toward a number of young women—the policy saw the music streaming service selectively remove artists from its various promotional systems based on their real-world actions. Kelly and rapper XXXTentacion—who’s currently awaiting trial on charges related to an alleged incident of domestic abuse against his pregnant girlfriend—both had their music pulled from Spotify’s curated playlists as a result of the policy. The problem with Spotify’s attempt—as many people have pointed out—is that it’s more-or-less impossible to implement in any kind of fair or systemic way; Spotify currently boasts more than a million artists in its libraries, and the idea of individually rating each one’s conduct on some sort of metric of “hatefulness” is obviously absurd. Pushback against the policy started almost immediately, with artists like multiple Grammy winner Kendrick Lamar threatening to pull their music from the service if it was kept in place. The company also re-iterated its intention to continue to remove music and bands with “hateful content,” such as lyrics promoting white supremacy and other toxic ideas, from its service’s libraries outright.